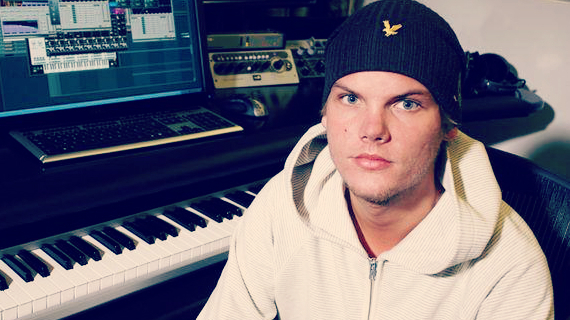 In 2010, Avicii released a collaboration with John Dahlbäck, titled "Don't Hold Back". He additionally worked on projects with internationally-recognized DJs Tiësto and Sebastian Ingrosso. While his work is primarily electronic synthetic tracks, EMI released a vocal version of his track "Bromance", titled "Seek Bromance". "Seek Bromance" reached the top 20 in several countries including Belgium, France, the Netherlands, United Kingdom, and Sweden. He also remixed Nadia Ali's classic single "Rapture" for her album Queen of Clubs Trilogy: Onyx Edition. In October 2010, Avicii signed with the European A&R team with EMI Music Publishing, one of the recording industry's "big four". In 2011, his collaboration track, "Sunshine", with David Guetta was nominated for a Grammy award under the category for Best Dance Recording. His track "Fade into Darkness" was sampled by Leona Lewis on her single "Collide". The sampling was not accredited and led to controversy as Avicii attempted to block the single's release. However, the matter was resolved outside of court with representatives stating "that Leona Lewis and Avicii will work together on the forthcoming single of Collide". In 2011, Avicii released "Levels", which reached the top ten in Croatia, Slovenia, Bosnia, Austria, Belgium, Denmark, Germany, Greece, Ireland, Italy, The Netherlands, and the United Kingdom and topped the charts in Hungary, Norway, and Sweden. Avicii's most notable song has been the single "Levels" which was released officially on 28 October 2011. The song had already been a major hit in the electronic music world all through 2011, but after its official release it became a huge mainstream hit, greatly increasing Avicii's popularity. The song was written by Tim Bergling and contains a vocal sample from the 1962 gospel-inspired "Something's Got a Hold on Me" by Etta James. The same vocal sample was used first by Pretty Lights in his 2006 song "Finally Moving". This sample was also used by Drum and Bass producer Logistics on "Call Me Back" and by Flo Rida in his single "Good Feeling", which was produced by Dr. Luke and Cirkut. On 9 January 2013, Avicii launched the Avicii X You project, a partnership with Ericsson designed to create the world's first "crowdsourced" hit song. The project enabled fans to send in basslines, effects, melodies, rhythms and vocals to Avicii as sound files over the Internet. Avicii acted as executive producer and created the finished song, which was released on 26 February 2013. On 30 January 2013, Avicii released "Three Million" featuring Negin to mark the 3 millionth fan on his Facebook page. Avicii previously released "Two Million", again when he reached 2 million fans on his Facebook page. Avicii was nominated for a Grammy for Best Dance Recording with "Levels" at the 2013 Grammy Awards. He was nominated alongside Calvin Harris and Ne-Yo, Skrillex, Swedish House Mafia and John Martin, and Al Walser. The award show took place on 10 February 2013 and the award was won by Skrillex. From late February to early March 2013, Avicii toured Australia as one of the headline acts in the Future Music Festival alongside The Prodigy and The Stone Roses. In late February 2013, Avicii made his first South American Tour including concerts in Venezuela, Argentina, Colombia, Brazil and Chile. In March 2013, Avicii announced and premiered many new tracks from his new album, which would later be set to be released in September, during his Main Stage set at Ultra Music Festival in Miami. The new tracks were experimental in nature, and received mixed critical reviews. On 11 April 2013, Avicii has released his new album promo mix on SoundCloud. The EBU and SVT announced on 15 April that Avicii, along with ex-ABBA members Björn Ulvaeus and Benny Andersson, had composed the anthem for the Eurovision Song Contest 2013. The song was performed for the first time in the Final on 18 May. On 14 June 2013, the world premier of Avicii's new single, "Wake Me Up!" was previewed by Pete Tong on BBC Radio 1 featuring vocals from Aloe Blacc. Tong described the single as a 'complete change in style' from previous singles. The song was later released on iTunes and radio on 25 June 2013. It is the first single from Avicii's album, True, which was released on 16 September 2013. "Wake Me Up!" was #1 on the Spotify Global Chart and Avicii was at 2 in most streamed artist worldwide. The Official Charts Company announced on 21 July that "Wake Me Up!" has become the UK's fastest selling single of 2013 after overtaking Robin Thicke's "Blurred Lines", to sell 267,000 copies in its first week on sale in the UK. "Wake Me Up!" has subsequently become a major hit, topping the charts in over 20 countries including Australia, Germany, Ireland, Italy, Scandinavia, the Netherlands and New Zealand. On 19 October 2013, the DJ Mag 2013 Top 100 DJs List was announced, with Avicii ranking No.3 on the list. Hardwell became the new World No.1 displacing Armin Van Buuren. On 10th November, Avicii won his first award "Best Electronic" at the MTV EMA's. Since achieving widespread commercial success, Avicii began working with his manager and executive producer Ash Pournouri to start House for Hunger in 2011, a charity dedicated to alleviating global hunger. The pair wanted to showcase the giving spirit fostered by the house music community. Avicii explained, "You have to give something back. I am so fortunate to be in the position where I can actually do that. I feel lucky every day when I wake up and am able to do what I love and make a living." In addition to donating $1 million to Feeding America, a charity founded by Lauren Bush, House for Hunger has helped fund the efforts of The Feed Foundation, allowing it to distribute over two million school meals throughout Africa.